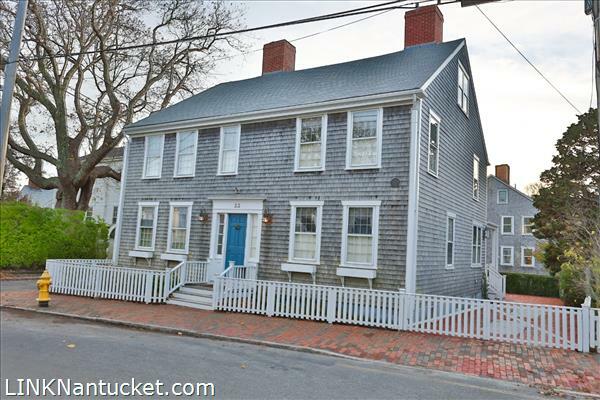 Located on the corner of Darling and Fair Streets, the James Cartwright house, which was built in the late 18th century, was meticulously renovated in 1997. 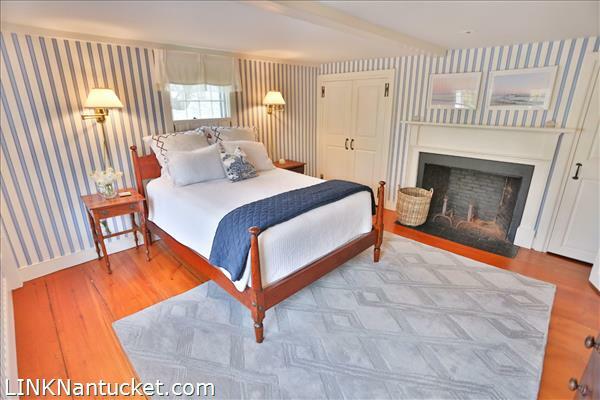 Boasting gracious and bright rooms the home has wonderful charm and allows for comfortable living. 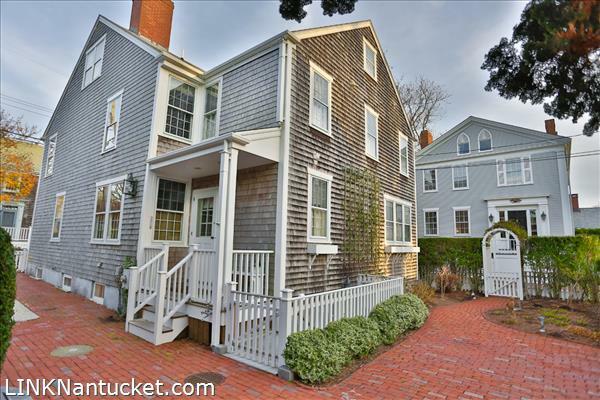 Spend warm summer days relaxing on the private brick patio. 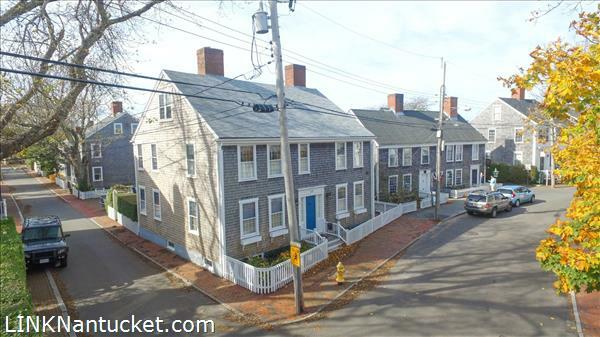 The driveway allows parking for two vehicles. 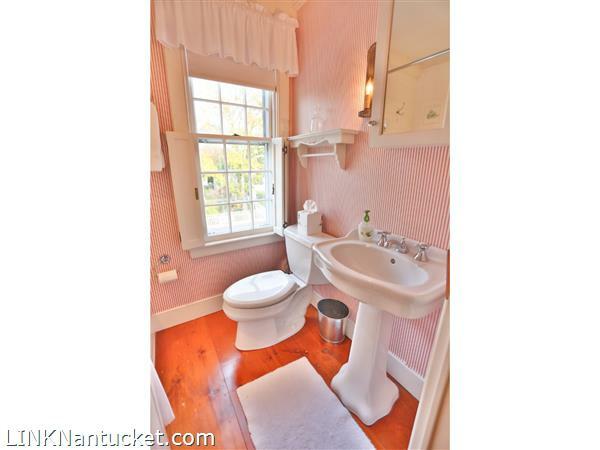 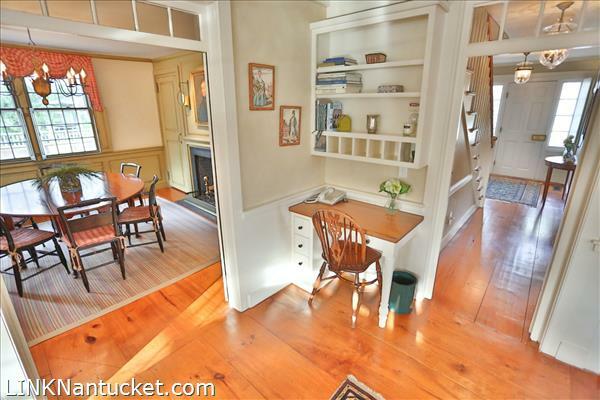 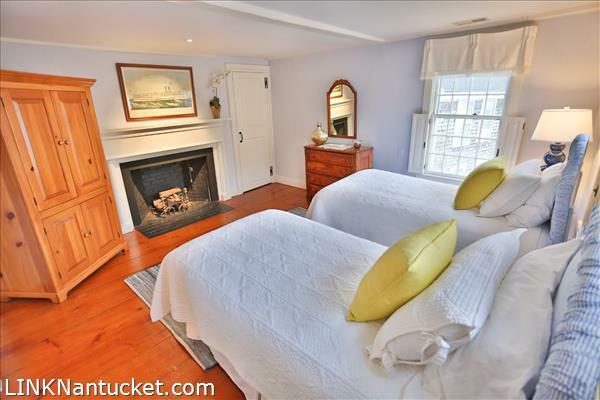 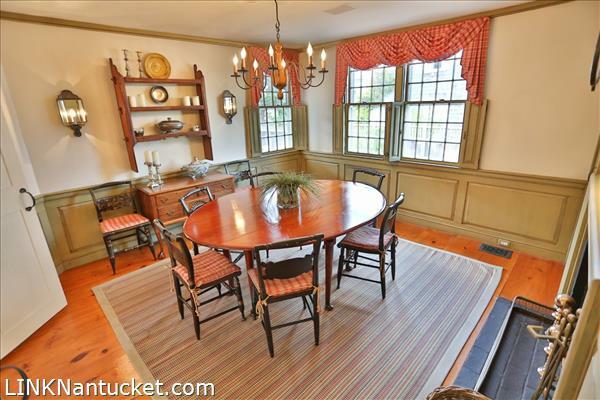 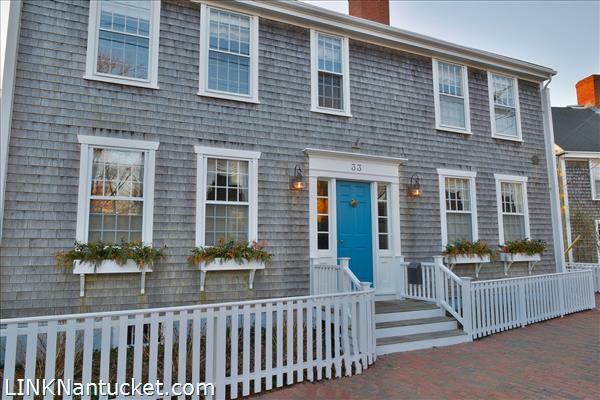 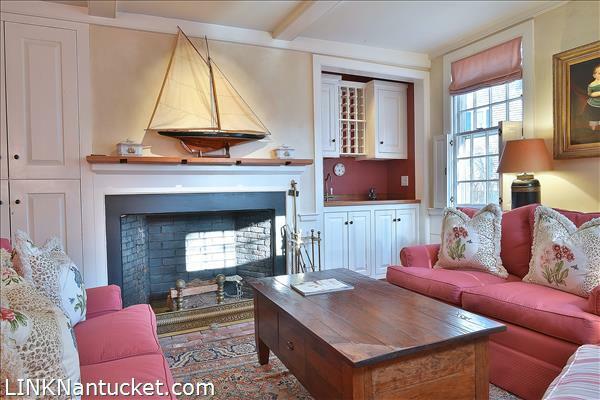 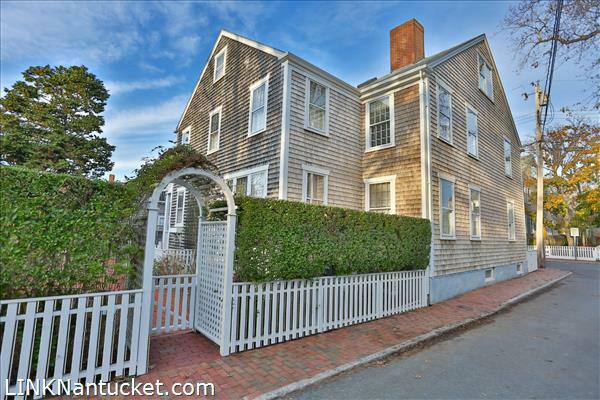 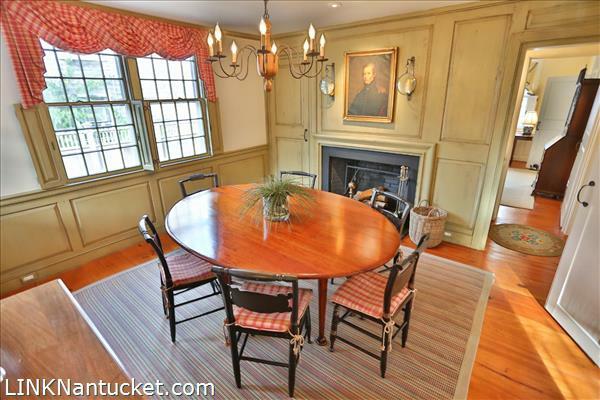 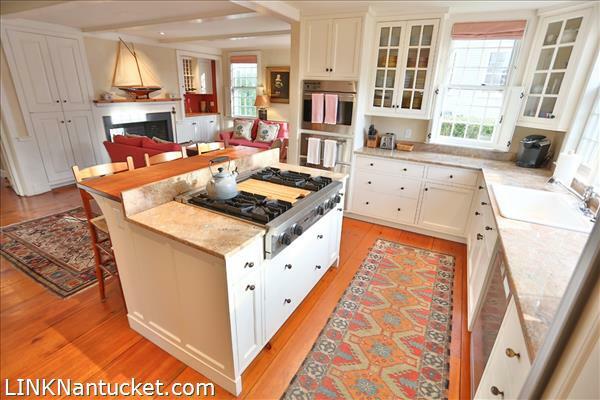 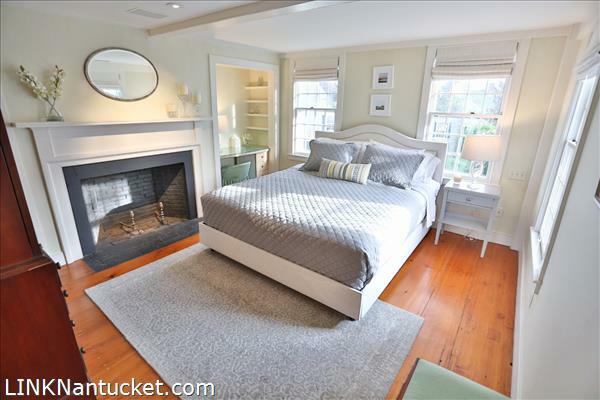 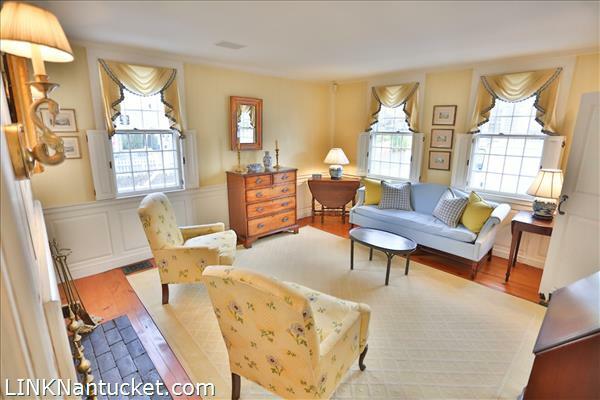 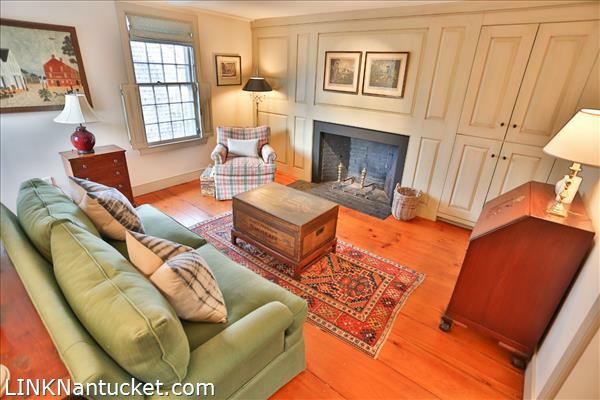 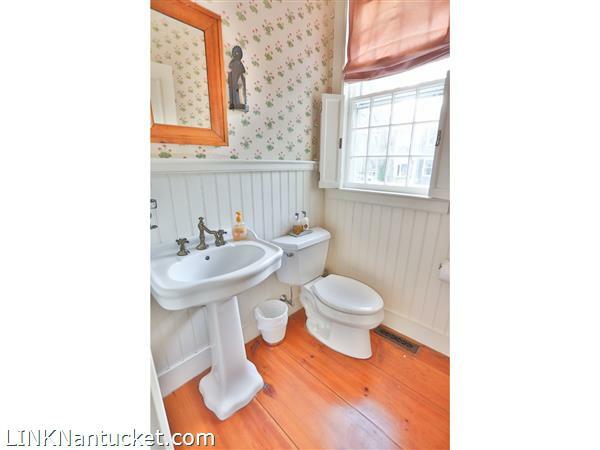 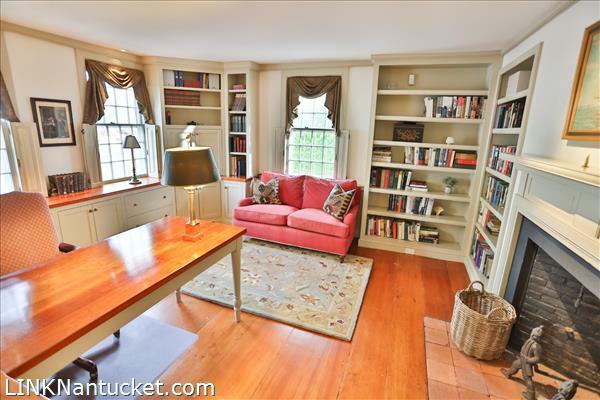 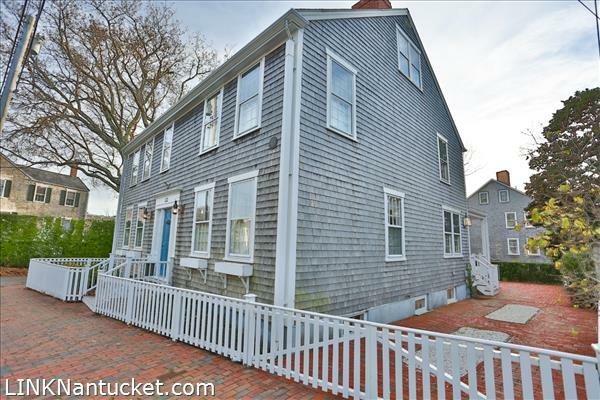 A stone’s throw from Main Street and the Harbor front it is the IDEAL In-Town property. 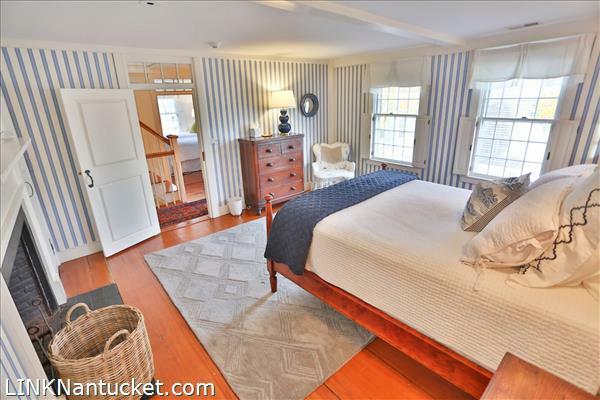 This home has an excellent rental history with tenants commenting how enjoyable their visit has been while staying at this delightful home. 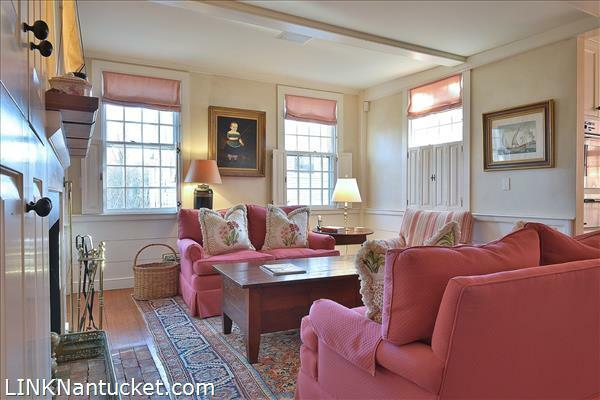 First Floor: From a spacious foyer, there is a front formal living room to the right and den/office to the left. 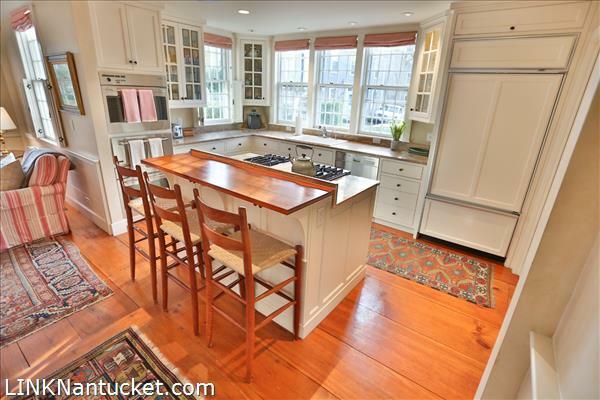 A pass thru butler’s pantry with ice maker leads into the formal dining room. 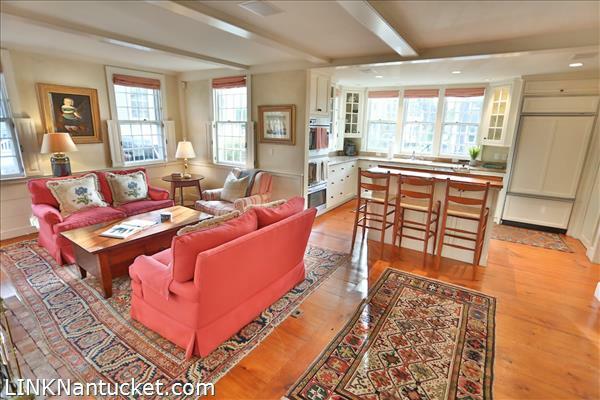 Windows and light surround the informal den, living room, and open gourmet kitchen. 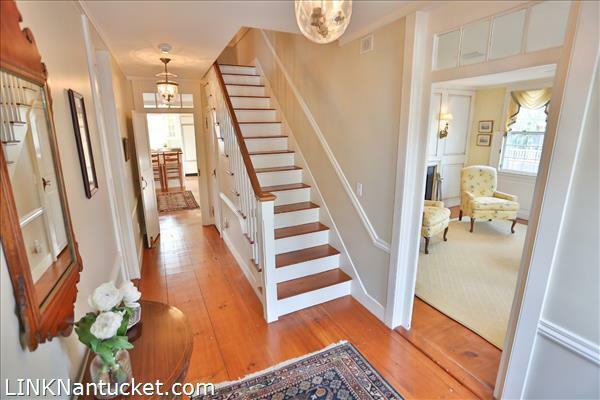 A short hallway off the kitchen leads to a powder room and back entry with porch. 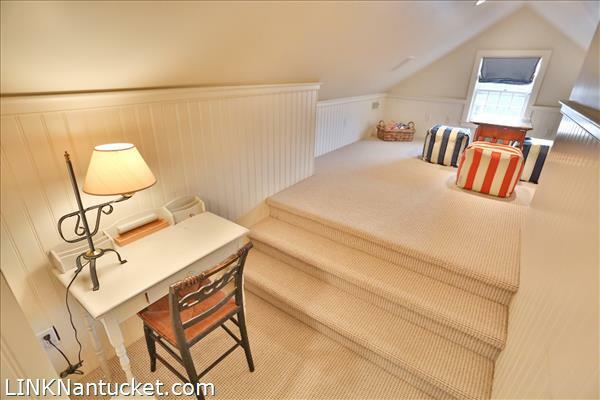 Second Floor: The hallway leads to two spacious and sunny bedrooms with custom shuttered windows. 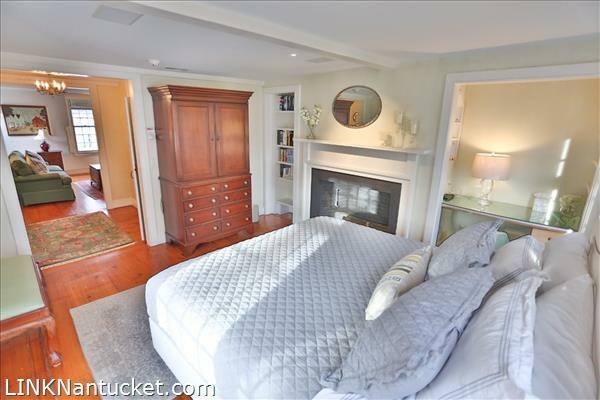 Continue down the hall to the splendid master suite which includes a separate sitting room or den. 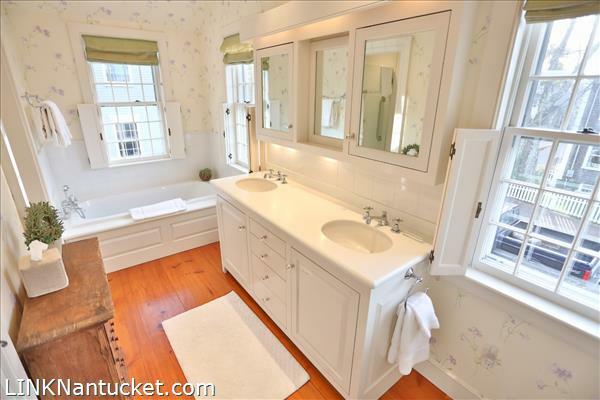 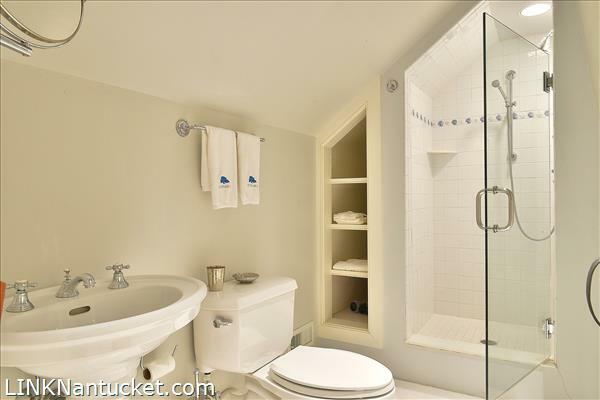 The master bathroom includes a generous closet with its own stacked washer and dryer. 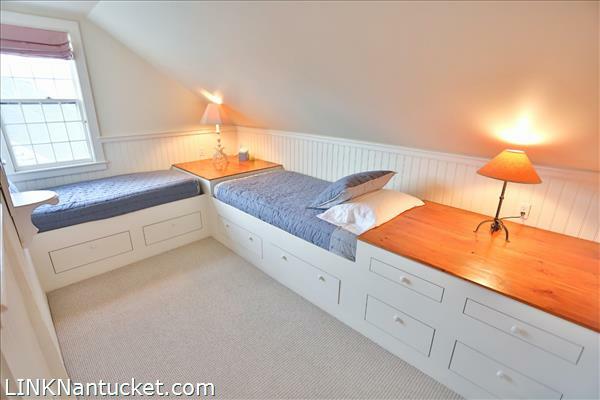 Third Floor: The large, open sitting room has a skylight and built-in beds. 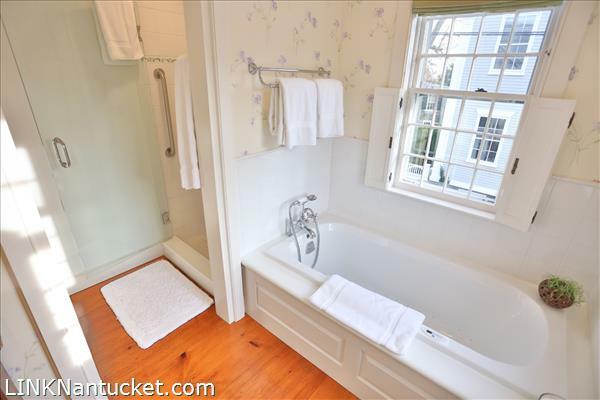 There is a bathroom with tiled shower. 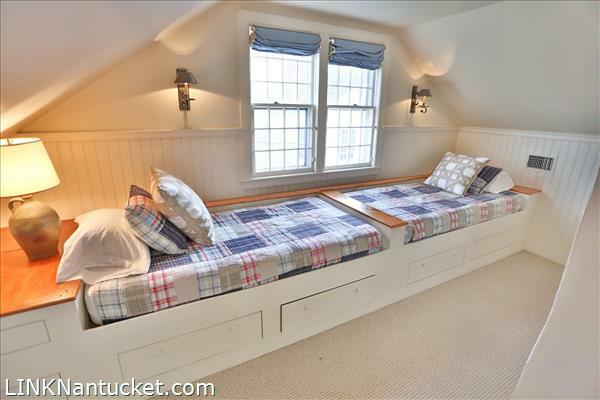 A separate bedroom has two built-in twin beds. 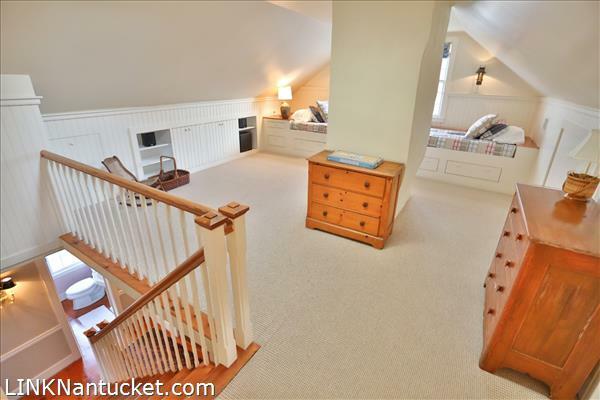 There is a bonus room that makes a perfect playroom. 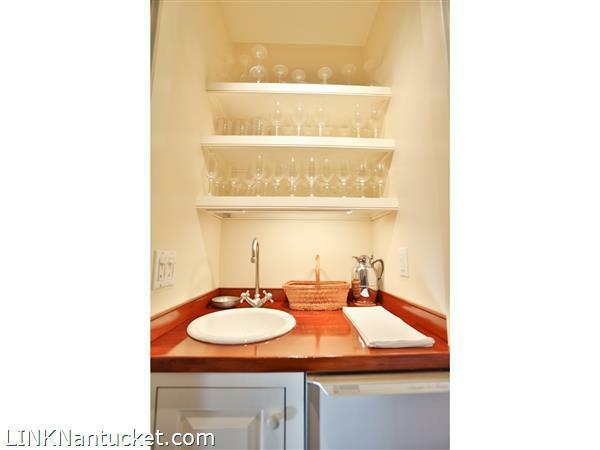 Basement: Re-inforced brick foundation with a poured cement floor, laundry area with washer & dryer. 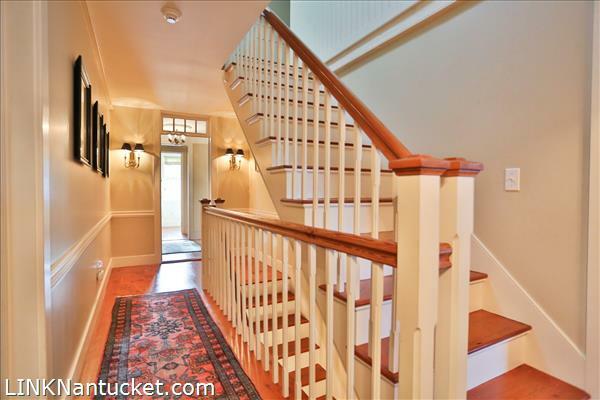 Interior and exterior staircases access the basement.